December 5th 2016, Aachen, Germany: Plant phenotyping specialist LemnaTec has announced the appointment of Sven Holmlund as Chairman. 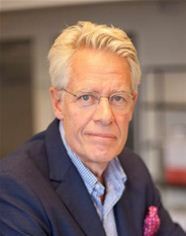 During his 16-year tenure as CEO of the Perten Instruments Group, a global supplier of advanced analytical instruments for quality control of food, Holmlund achieved impressive growth with sales in more than 100 countries worldwide. In 2014, Holmlund managed the sale of Perten Instruments Group to PerkinElmer, a major US instrumentation supplier. At LemnaTec, Holmlund will work closely with management to launch a range of new laboratory systems and to help assess further growth opportunities in Europe, the US and Asia. LemnaTec’s proprietary software and systems are used for laboratory, greenhouse and field phenotyping to help produce and analyze digital images of plants. The resulting numerical data is used to monitor change in parameters and ultimately to measure the effect of changes made to a plant’s environment. “Over the next three years, I am expecting to see this business grow significantly, especially in North America”, says Holmlund. “This is an exciting company, working in an interesting and valuable area of plant science, and we will continue to build on LemnaTec’s global leading position by delivering the next generation of Scanalyzers with more automation and better functionality”.